A trichologist specializes in all matters relating to hair and scalp health. A trichologist will give a prognosis, identify and treat all forms of hair loss, hair shaft breakage and scalp disorders. They often see the first signs of imbalances that relate to the hair and scalp. Also, a trichologist will give a thorough consultation along with a hair scalp scan with a specialized microscope to determine what treatments would be necessary. If the underlying cause of the condition is out of the scope of the trichologist, then the practitioner will refer the client to specific medical doctors. Trichology has been around much longer than most people are aware of. The Institute of Trichology was founded in London, England in 1902. It was created specifically for diagnosing and treating problems of the hair and scalp. This area of study is widely used across many nations. It has become invaluable to the many men and women suffering from hair and scalp maladies. Trichologists themselves are not normally licensed healthcare workers, although members of the medical profession can undertake courses and/or careers within trichology. Many times trichologists are dermatologists, cosmetologists, pharmacists, chemists and aestheticians. Trichologists gain their qualifications by successfully completing the trichology certification course with the International Association of Trichologists or selected tertiary colleges. Only members of the International Association may use the initials I.A.T after their name once the association’s criteria has been met. The course was developed at the University of Southern California in 1974-75. Trichologists are para-medical (non-physician) hair and scalp specialists trained to incorporate a holistic approach in researching and identifying the root cause of hair/scalp disorders. A comprehensive consultation is rendered, and a detailed evaluation and recommendation will be provided. Dermatologists use a medicinal approach. A trichologist helps people who have problems with their hair or scalp. 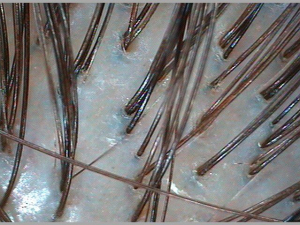 A person may complain of sudden excessive hair loss from all over the scalp, a bald patch which has suddenly appeared, or itching and excessive scaling of the scalp. You don’t have to have a hair problem to consult a trichologist: many people choose to do so because they want advice on keeping their hair and scalp in tip top condition and so reduce the risk of hair loss. A trichologist will discuss your concerns regarding your hair and scalp health. They will do a thorough scalp examination using a 5x magnifying lamp and a 50-100x special exam microscope. 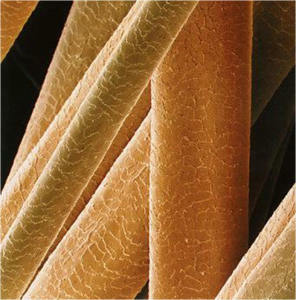 The trichologist will diagnose and determine the best treatment options. Hair loss origins can involve genetics as well as non-genetic factors such as poor nutrition, fever, anemia, hormonal imbalance, thyroid abnormalities, diabetes, medications, stress, pregnancy, chemical damage, bacterial infections, hair styling equipment, and more. Effective treatment begins with a thorough consultation. Relevant information regarding your health, medical history, diet, medications, hair care habits, and genetic history is recorded and analyzed during the initial examination. If need be, the trichologist may refer you to a medical professional as well. The most widely known conditions treated with Trichology are: Telogen Effluvium, Alopecia Areata, Androgenetic Hair Loss, Traction Alopecia, Psoriasis, Seborrheic Dermatitis, Pityriasis (dandruff), and Mechanical damage. Some hair loss problems may be temporary and self-correcting whilst others are corrected with nutritional/hormonal interventions. Conditions such as genetic thinning can be stabilized but not cured – whilst others cause permanent hair loss due to follicle destruction. Treatments used in Trichology include, but are not limited to: creams, topical ointments, micro-circulation therapy, dietary supplements, nutritional therapy, hair and scalp exfoliation, and low level light therapy.